A Transport and Works Act for a 3.2km extension from Snow Hill to Five Ways (west of Birmingham City Centre) was granted in 2005 and a material operation took place in 2010 to secure the Order. The material operation included the replacement of an existing bridge over the A38 and adjacent to the existing Midland Metro track. This scheme, commonly known as the Birmingham City Centre Extension is being constructed in stages, with the first stage from Snow Hill to Birmingham New Street currently being constructed through the city centre. Funding is also secured to deliver further extensions within Wolverhampton and Birmingham including Centenary Square, Five Ways and Eastside via the proposed HS2 terminal and Digbeth Coach Station. 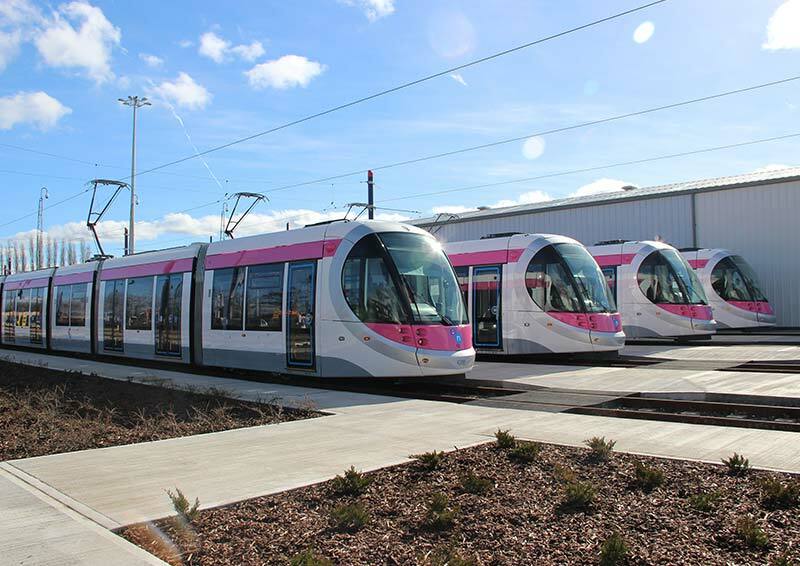 A fleet of new tram vehicles have also recently been introduced on to the existing network which has required a major expansion of the depot at Wednesbury and amendments to the existing infrastructure. This presentation will provide a general update on the Midland Metro Enhancements and the extensions within Birmingham including some examples of the challenges that the Project Team have had to consider and overcome.